LumenFocus has a wide selection of indoor, outdoor and specialty luminaires. Our indoor line features high bays, retrofits, troffers, down lights, strips, wraps and vaportights. The outdoor catalog contains canopy, flood, street and area lighting. 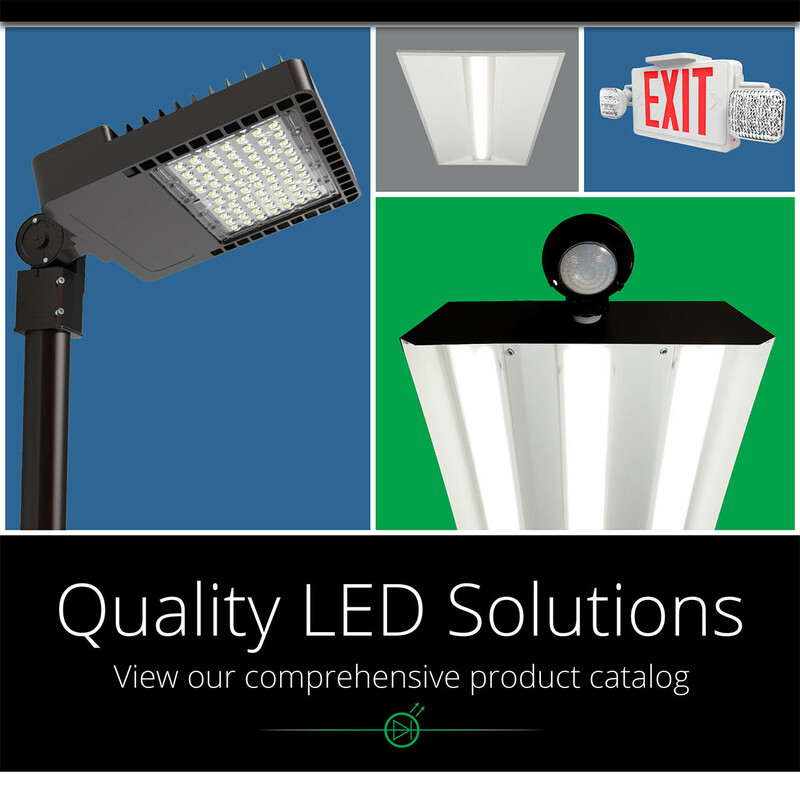 The specialty luminaires section of our catalog includes exit signs, emergency luminaires, grow lights and vaporproof lights. Click on a category below to view our offerings. LumenFocus offers a wide array of indoor and specialty luminaires. Our indoor catalog features high/low bays, recessed lay-in luminaires, retrofits, vaportights, and more. The outdoor selectino includes high efficiency canopy, flood, street and area lighting. Our specialty section features exit signs, emergency luminaires and hazardous location products. Our team has decades of experience in the lighting industry. Our factory is a 100,000 square food facility in Henderson, NC. Our staff knows the value of true quality and values the customer experience. We proudly offer American-made and American-engineered LED products. We offer a wide array of luminaire types, each with a variety of lumen packages and options, enabling us to offer very comprehensive energy avoidance lighting packages for all types of projects. The 'Worry Free Order' - We know that you have deadlines and schedules to maintain. Once you place an order with us, you can rest assured you will receive it when you need it, with none of the hassles. Our backend support is second to none. The No. 1 goal for each team member of LumenFocus – from engineering to customer service – is to perfect the customer experience. We not only provide you with top quality, efficient products – we pride ourselves on superior service too. LumenFocus luminaires are upgradeable through our concept of Re-BoardABILITY. LED boards can be swapped out in a matter of minutes. This ensures you can obtain the most efficient boards for your fixtures. In addition to manufacturing, LumenFocus offers a variety of services, like photometric analysis, energy and cost avoidance proposals, and lighting audits to help support your business and provide the best LED lighting solution for your clients. LumenFocus has over 960 LED luminaires and retrofit kits currently listed on the DesignLights Consortium Qualified Products List - with more to come! If you don't see a product that you're in need of on the QPL, please ask - we may already be working on it. Click here to go to the current DLC QPL, and enter "LumenFocus" in the search field to see our approved products.